Recommissioned, 30 June 1861, to join the South Atlantic Blockading Squadron, as store and guard ship at Port Royal, S.C. 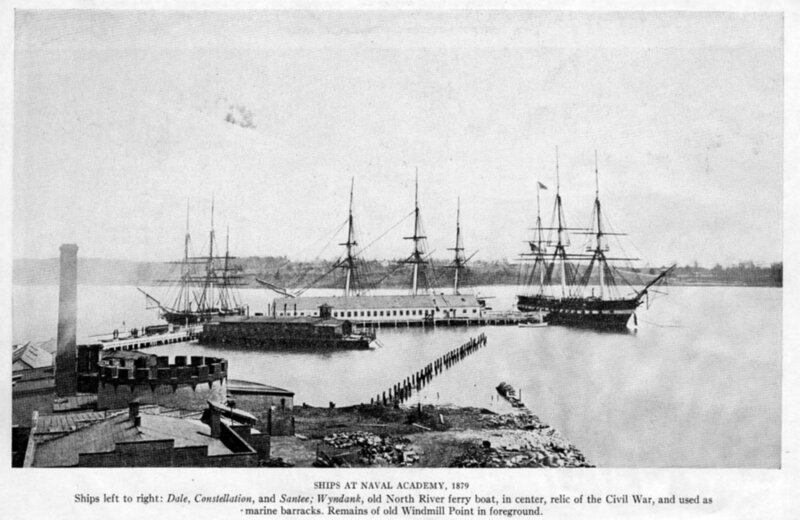 Served as dormitory-barracks ship for the cadets in the School of Instruction at Arundel Cove, MD. Maryland. Revenue Captain J. P.
152k View of the U.S. Naval Academy, Annapolis, MD. waterfront area, circa the late 1860s, looking northeast from the tower of New Quarters. The twin-turret monitor moored in the Severn River, at left, is USS Tonawanda. Ships at the pier in right center are USS Constellation, USS Dale and USS Santee. Note the small tug on the beach at left, apparently under construction or undergoing a major overhaul, and the side-wheel steamer at the dock. 92k Sepia wash drawing by R.G. 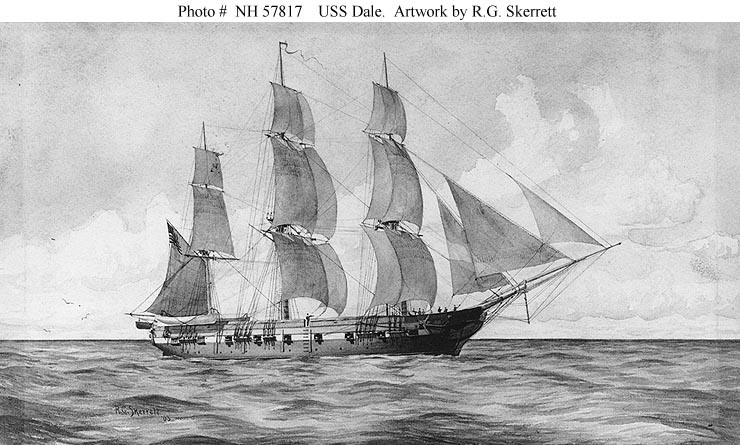 Skerrett, 1903 of USS Dale. 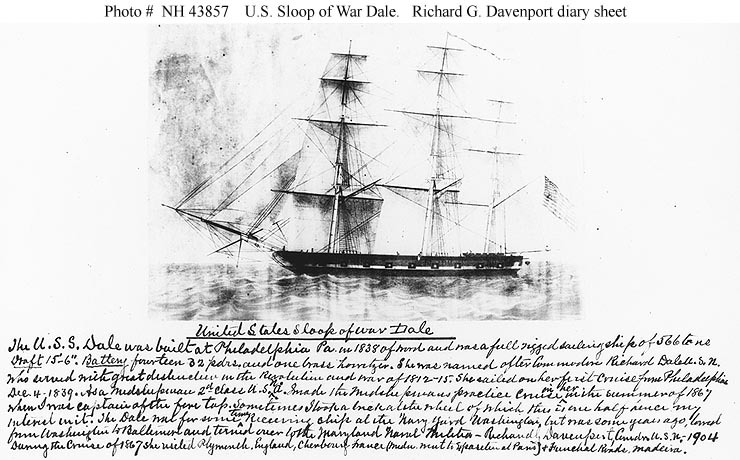 98k Sheet from Midshipman Richard G. Davenport, USN, annotated diary, covering the Summer of 1867, when he was on board USS Dale for the US Naval Academy Midshipmen's cruise. It also features a picture of Dale and a hand-written description of the ship and the cruise. 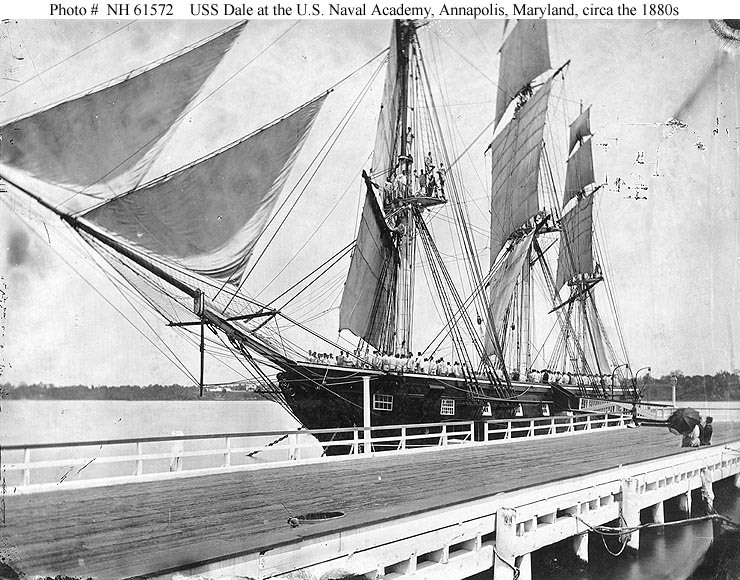 138k USS Dale moored at the US Naval Academy, Annapolis, MD., while serving as practice ship. Probably photographed circa the early 1880s. 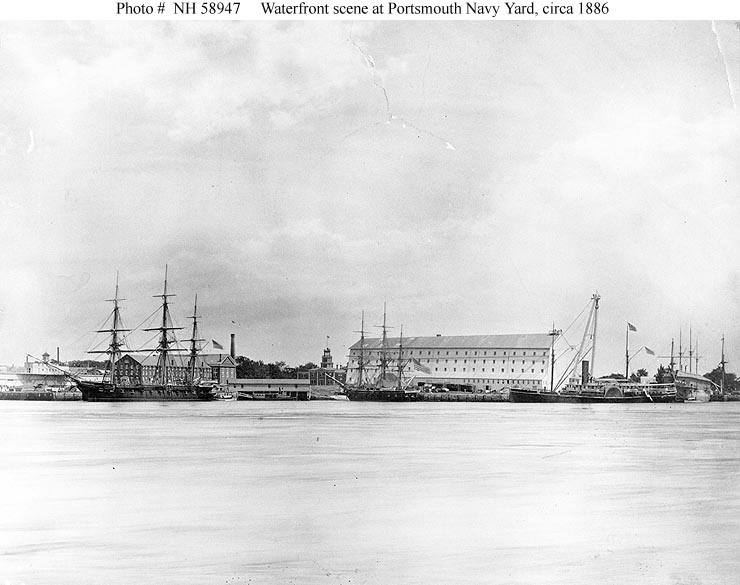 63k A view of the waterfront at the Portsmouth Navy Yard, Kittery, Maine, circa 1886, with the floating drydock at left. Ships present are (from left to right): USS Constellation; USS Dale; USS Tallapoosa; and USS Constitution (housed over). Photo courtesy of the Naval Historical Foundation, 1971. 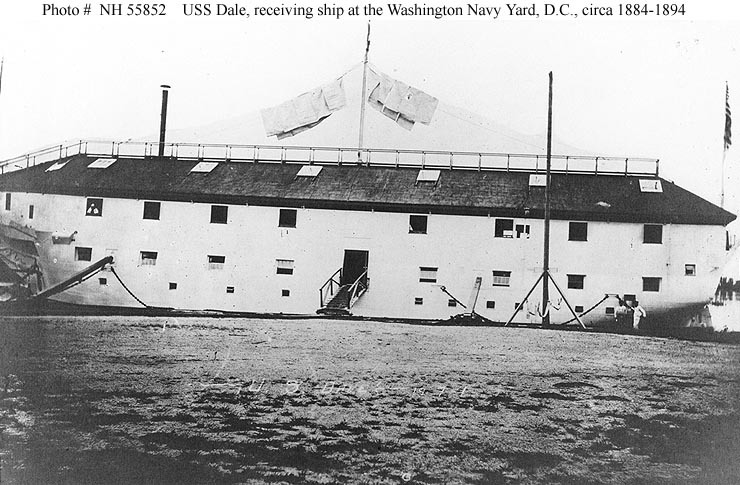 103k USS Dale housed over while serving as receiving ship at the Washington Navy Yard, District of Columbia, circa 1884-1894. 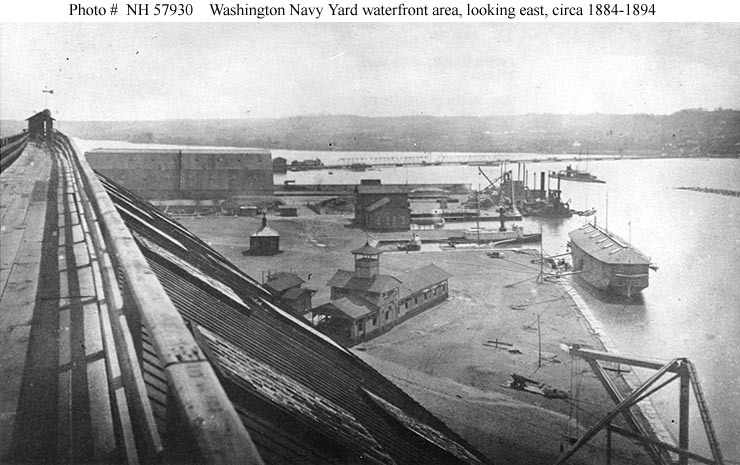 800k View of the Washington Navy Yard waterfront looking east from the top of the western shiphouse, circa 1884-1894. 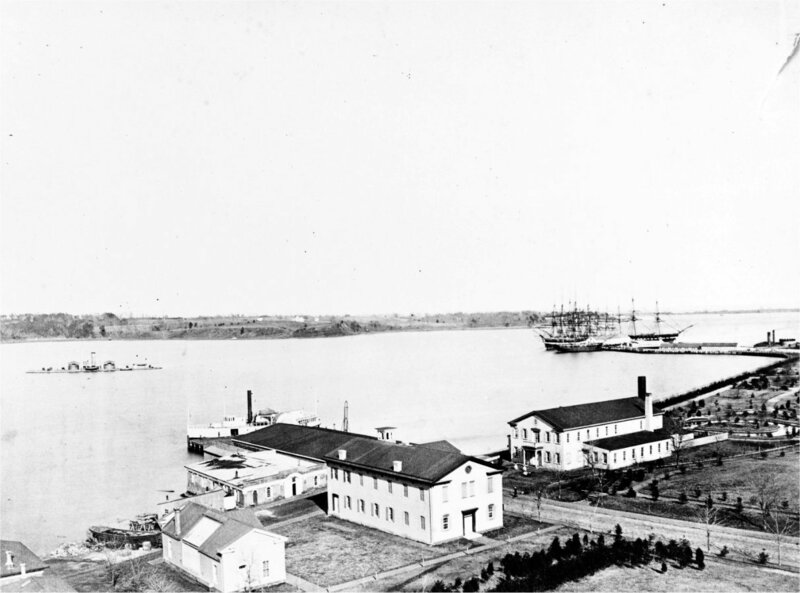 The old experimental battery building is in the lower center, the eastern shiphouse is in the left background with the old 11th Street Bridge crossing the Anacostia River in the center and right background. The receiving ship alongside the waterfront is USS Dale. Moored offshore is a Canonicus class monitor. 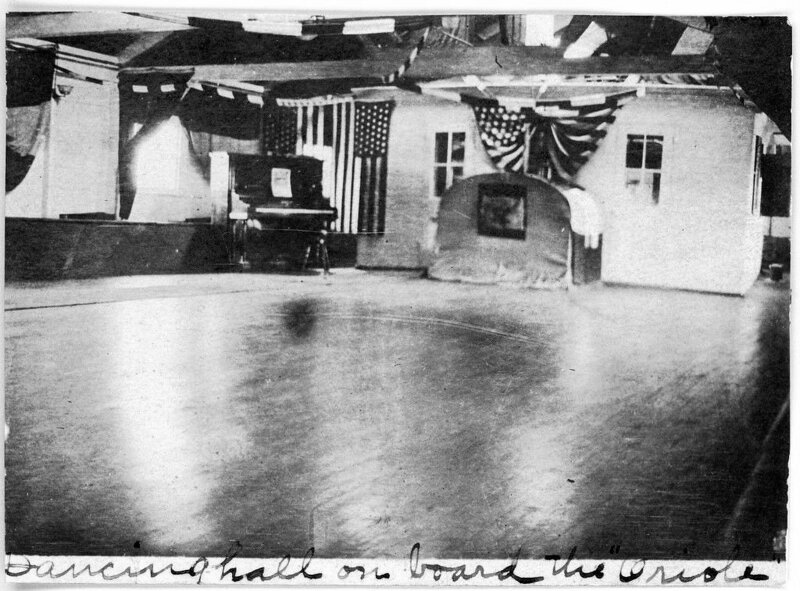 218k Oriole below deck area converted into a social function hall, while serving as a cadet dormitory at the School of Instruction at Arundel Cove, MD., circa 1909.